For the 19th Annual Coat Drive,Jersey Cares plans to collect and distribute more than 35,000 “gently used” winter coats to men, women and children in need throughout New Jersey. Over the past eighteen years, Jersey Cares has collected, sorted and distributed more than 400,000 coats to New Jersey residents through our annual drive. Companies, churches, fire departments, police stations, schools and other organizations set up sites across the state to collect coats. Coats are then delivered by collection site representatives to the nearest container site. Volunteers then sort the donated coats at the container site and bag them for pick-up, after which nonprofit organizations pick up their coats and distribute them to people in need. Donating Coats:Coats may be dropped off between November 1, 2014 and December 15, 2014 at all participating collection sites. Keep in mind that unless cleared, the sites are not prepared for bulk coat donations. If you have more than ten coats to donate, please call ahead or consider hosting your own collection site. Collecting Coats:By forming your own collection site, you offer all of your neighbors and community members a convenient location to donate their coats and ensure that more coats make it to those in need. You can establish a private or public collection site during the whole coat drive or for a shorter period of time (i.e., two months, two weeks, a few days, or just one day). All collection sites can register on the Jersey Cares website. After receiving your collection site form, Jersey Cares will send you a Collection Site Kit that includes posters, site instructions, sorting instructions and directions to your nearest drop off location. Please note that all collection sites are required to deliver their coats directly to their local container site – we are not able to provide individual pick-ups due to the size of this program. Sorting Coats:While we encourage pre-sorting coats before delivering them, volunteer sorting projects will be held from November through December for ages 4 and up. 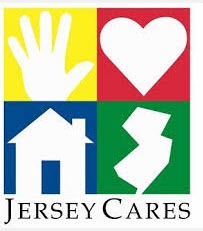 Please visit the Jersey Cares Volunteer Opportunity Calendar to register for an opportunity. Special Events: Jersey Cares will hold special donation and sorting eventsthroughout the duration of the drive. Please register to volunteer for upcoming Special Events. Make a Financial Contribution or Become a Coat Drive Sponsor:The Coat Drive is an enormous undertaking and requires financial support to create its tremendous impact. Sponsors receive multiple benefits. Please contact the Jersey Cares office if you are interested in becoming a sponsor. Receiving Coats(for 501(c)(3) nonprofit agencies only): If you are a non-profit agency or school, you can request gently used, warm winter coats for your clientele or students. Please register online to receive coats.